Toronto, ON (January 10, 2019) – International recording artist Amaal releases “Not What I Thought” the first single off her forthcoming debut EP. The R&B influenced, bass thumping single is a gentle yet confident ballad about the end of a relationship. Hardly a new theme and yet, “Not What I Thought” unfolds as a salve for the question of how an intimate partner can become a stranger. "It's about finally realizing the person you're in love with is not who they've represented themselves to be. That love quickly conjugates to the past tense." – Amaal. Today, Amaal also drops the accompanying music video for “Not What I Thought” directed by renown multidisciplinary creative Sean Brown (Daniel Caesar). The video was directed by multidisciplinary creative Sean Brown (Daniel Caesar, K. Roosevelt) in collaboration with Amaal. Shot in Iceland, the video showcases the resilience pervasive in “Not What I thought” by positioning Amaal alone amidst vast landscapes. 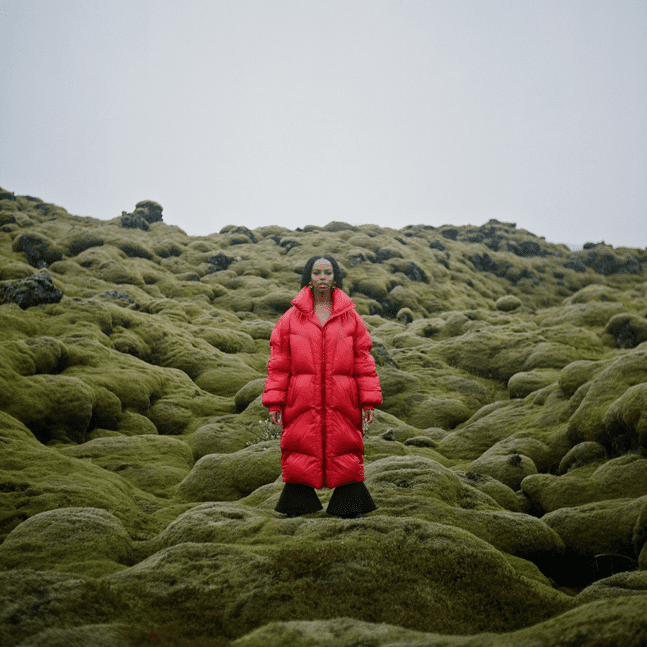 "I've had Iceland on my list to shoot a video for over a year. The beauty is unmatched and I feel as a woman there is a deep personal connection to Mother Nature in all her forms. I wanted to represent my oneness with the earth in all these raw majestic places. Showing that regardless of the hurt caused we are powerful beyond measure." – Amaal. Amaal is set to release her debut EP this year. Additional details to be announced at a later date. Singles by Amaal include ‘With You’, ‘Mufasa’ and ‘Words Revealed’, ‘Last Ones’, ‘Who Are We’ and ‘Scream’. ‘Words Revealed’ alone achieved 200,000 YouTube hits within its first three months of release, and has inspired cover versions by fans. Another fan favorite, "With You", similar earned 80,000 views in its first two months; ‘Mufasa’ is considered her most viral song to date with views and listens accumulated to over 2 million. Amaal’s lyrics have always been socially conscious, focusing on topics of growth, love/heartbreak as well as global causes. She draws influences from both her personal life experiences and her travels, including a trip to Uganda where she worked closely with women’s groups within local communities.